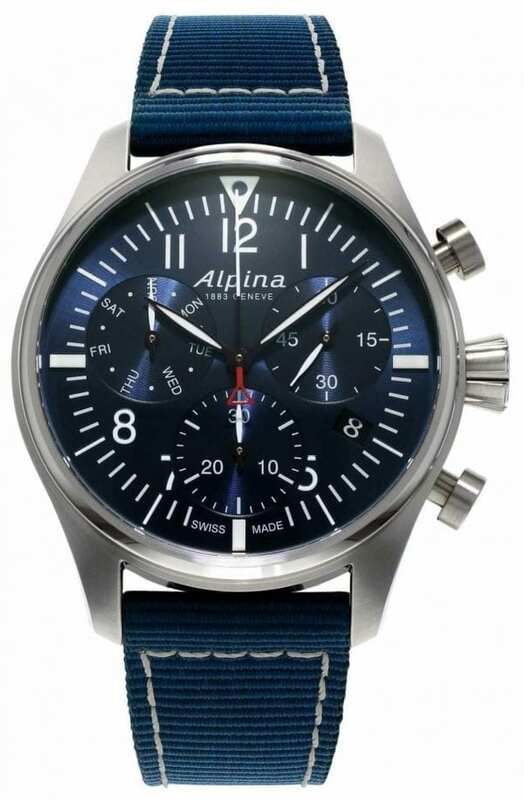 This Alpina Startimer Pilot Chronograph Quartz Blue Fabric Strap Men’s Watch (AL-371NN4S6) offers a modern take on classic Alpina styling. 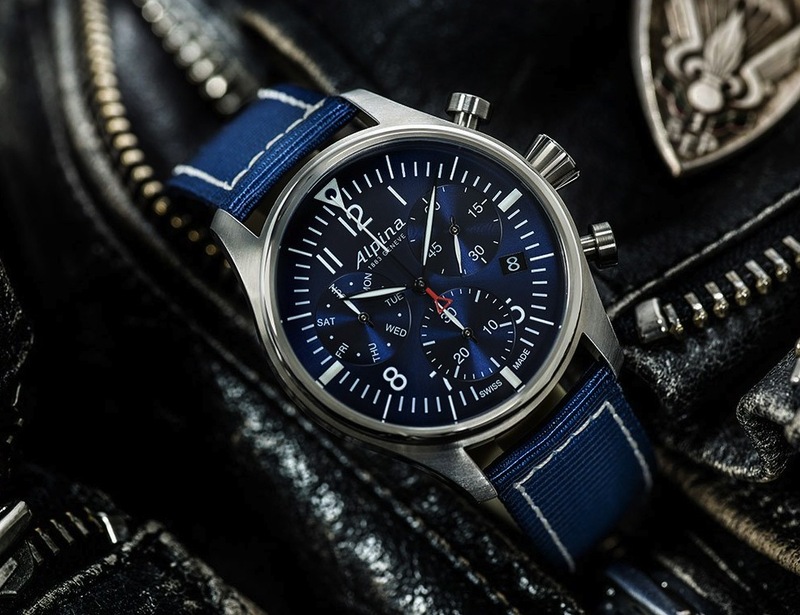 Featuring the precise and reliable AL-371 calibre quartz movement, this Alpina Startimer Chronograph Quartz features a date window at 4 o’clock, black hand-polished hands, a chronograph complication, and scratch-resistant convex sapphire crystal glass. This is expertly complimented by a contrast stitch fabric strap and classic aviation styling.